A few months ago, I wrote this post about how I go about my meal prep for a week of healthy eating. Since then, so many of you expressed how helpful it was so I’m back here again with a fall version. I love this season because the produce is so beautiful and cozy… it all just makes me want to get into the kitchen and cook! To me, there’s nothing better than the smell of squash and onions roasting away in the oven. We’re partnering with Wolf to bring you these tips as part of their Reclaim the Kitchen initiative. This topic is near and dear to my heart because I actually used to hate cooking… or rather I thought I hated to cook until I found my kitchen bliss. – Nearly three in ten adults (28%) have spent more than one hour thinking about what to make for dinner, then ended up ordering takeout. – One-fifth of adults would rather work late than cook. – Nearly one-quarter of 18-34 year olds (23%) indicate not being able to put together a meal with what is in their fridge and pantry is a reason why they haven’t cooked even when they had the time. In time, I’ve realized that putting together meals was not as overwhelming as I thought. Cooking at the end of a hard day was just the thing I needed – the act of chopping vegetables helped me relieve my stress, putting together colorful vegetables helped me feel creative, and then enjoying a home cooked meal with my husband helped me feel connected. Now onto my fall game plan! 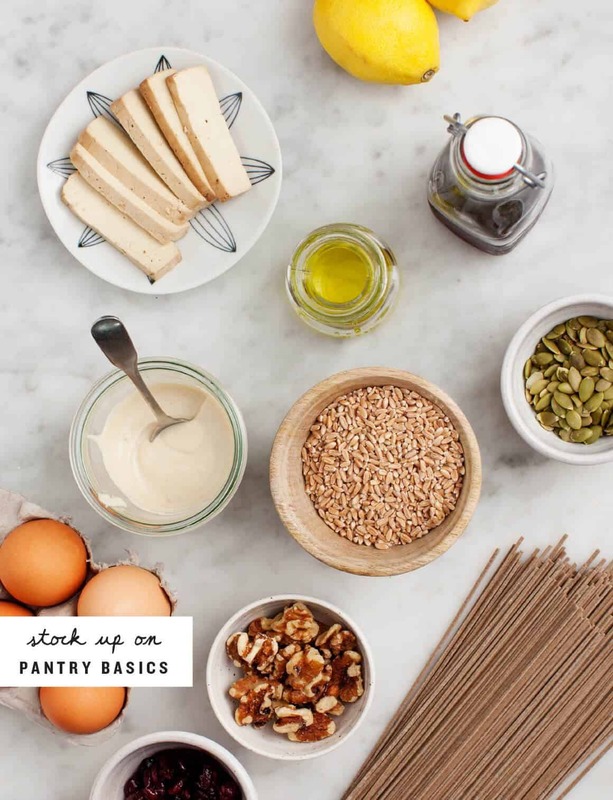 I’m going to walk you through my shopping & prepping strategy, followed by 3 easy dinner ideas. 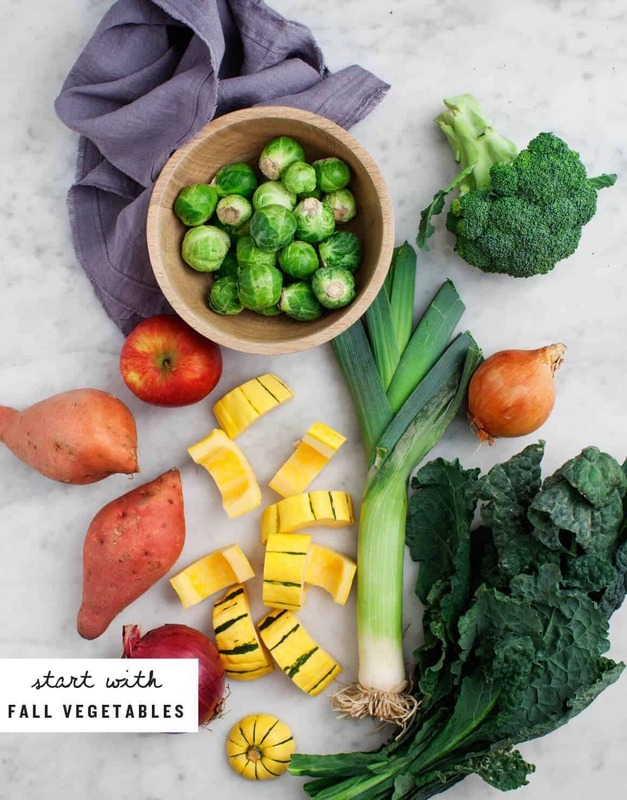 I started with the beautiful vegetables pictured at the top of the post – sweet potatoes, squash, Brussels sprouts, broccoli, apples, kale, onions, and leeks. I will commonly make a sauce once and use it over multiple meals throughout the week. I made a maple apple cider tahini sauce for the delicata squash grain salad, then I changed up the flavor by adding sesame oil and ginger for the next night’s soba bowl meal. The sauce can be made in advance and stored in the fridge for 4 to 5 days. You can roast your vegetables all at once and store them in your fridge to have handy for salads and grain bowls throughout the week, or you can roast them as-needed for each recipe below. I prefer to roast as-needed for dinners and save the leftovers for easy toss-together lunches. To roast: toss the vegetables with olive oil, salt and pepper and roast at 375° F until golden brown. The timing will depend on the vegetable. I also roast chickpeas while I’m at it – you should too. This time I went with farro. I love this chewy, nutty grain for fall. I cook it like pasta in a pot of boiling water until it’s tender but still chewy and not mushy. Its cooking time varies greatly – sometimes it’s done in 20 minutes, sometimes 45. Just watch it and taste. Make a bunch and store the extra in the fridge. Start with your leftover tahini sauce and add a drizzle of sesame oil and some minced ginger. Cook your soba noodles according to the package directions. Drain and rinse them to keep them from getting gloopy. Toss the noodles with a bit of sesame oil and a generous scoop of the tahini sauce. Top bowls with roasted broccoli, roasted sweet potato, tofu (optional: sesame seeds and avocado). Serve with the remaining tahini sauce and lime slices. This is a great way to use up leftover farro from recipe #1. Heat oil in a medium skillet, add sliced leeks and a pinch of salt and sauté until soft. Add shredded Brussels sprouts and cook until soft and golden. Add minced garlic, ginger and rice vinegar and toss. Add the farro, a drizzle of tamari (or soy sauce). Cook until warmed through and season to taste. Serve with a fried egg, chopped green onions and sriracha on the side. (alternatively, you could mix a scrambled egg into your fried rice). Click to see the full recipe. This post is sponsored by Wolf, thank you for supporting the sponsors that keep us cooking! These are pretty simple recipes if you make the farro and the sauce in advance (they both keep well in the fridge). Of course, nothing will be quicker than freezer meals! You could put any kind of protein you like with any of these, they’re pretty versatile. I love the examples you’ve presented, so much crunchy goodness!! I’ve recently adopted a similar program. Having a larger cooking “event” makes pulling weeknight meals together more quickly and it’s easier. 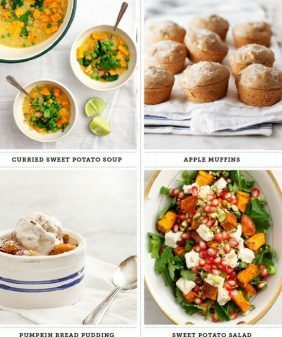 Your recipes look amazing! Thank you for this post. Knowing the basics really will help me build the best dishes everyday. Do you have a tip for storing leftover roasted chickpeas? I love them right out of the oven, but they get soggy and limp if stored overnight in a closed container. They’re always best the first day, I store them at room temp in a jar with a loose lid which is a little better than storing them in the fridge. Fall is the best time for vegetable dinners! There are so many good things in season – I love roasting them with olive oil and spices with a little sweet potato and salad. You really can’t go wrong! Your Farro Fried Rice looks incredible! Fried rice is one of my favorite meals! 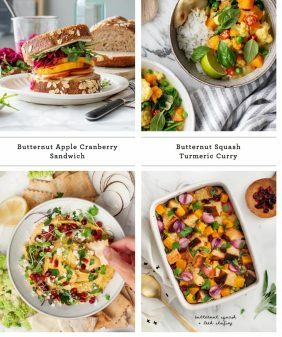 This post is such a great way to help people get into meal planning and preparation. Meal prep is one of the best ways to ensure you eat at home, and eating at home is SO much healthier than eating out. Great post! Thanks for the tips! Always love getting ideas on meal prepping. I do the basics, roasting and cooking grains and such. My problem, is making meals out of leftovers so I’m not eating the same thing day after day, but using the prepared foods in a fresh way. Love this, the simplest meal prep and planning ever. I’m a big fan of working out my week in advance but even then I know I’m going to be lazy by friday and this is perfect – thank you! I love meal prep tips! Autumn is by far my favorite season, so I’m all about LOADS of roasted veggies, and hearty dishes, like veggie chilis. Fabulous post, never disappointed in your talent and how you manage to teach us such excellence through the simplicity of a plant based diet. I am of the vegan-no oil diet philosophy but find all your material adaptable and the photography just brilliant! Thank you much! Fall is one of the best season for its fresh vegetables and cool climate. 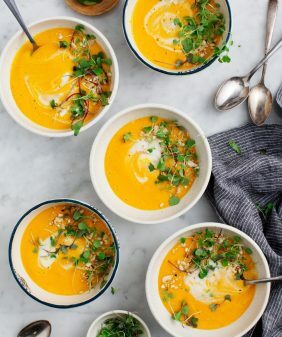 Your recipe is simple and looks delicious as well as healthy. Thanks for sharing this post, i would really love to cook it and share it with my family and friends. Menu planning is a life saver! This is so perfectly timed. 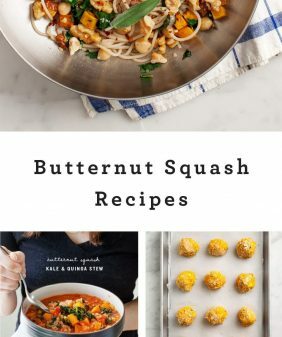 I plan to roast butternut, delacata, and sweet dumpling squash along with sweet potato & onion for dinner tonight. I combed the interterwebs last night trying to find out if I could roast every one at the same temp. Now I know. I should have known y’all would have my answer. 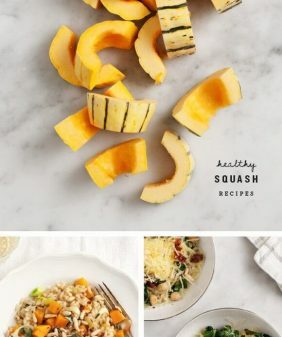 Sounds like a yummy squashy plan! Ha, yea I would generally roast all of those together – I’d cut the onions into some very chunky wedges since those cook the fastest. Thanks for this! I’ve been happily cooking for forty years but it’s always nice to read something like this to kickstart a fresh approach when in a cooking rut. I always enjoy your posts. Love this. I find that I am more inspired to meal plan when I start with a trip to the farmers market Sunday morning. The trick is to buy just enough for the week so I don’t get overwhelmed. Love this and the Wolf ‘Reclaim the Kitchen” campaign! It’s wonderful to see national brands taking a lesson from greats like Michael Pollan, Alice Waters and others who have been advocating for a return to cooking and eating REAL food. I think (hope!) everyone’s combined efforts are starting to make a real difference. Thanks for continuing to spread to knowledge. Great ideas!! I will definitely be sharing these tips with my clients as well as using them myself. Most of my clients are strapped for time and looking to feed their children with autism and ADHD healthy meals. Meal prepping is key! What kind/brand of soba noodles do you use? It is never easy to think about healthy meals expecially when you’ve been used to the usual stuff. Good thing, there is a site where you can rely on mew recipes. Gathering fall-season vegetables is new to me. I love the idea and will surely give this a try. It;s time to head to the grocery to find these. Thank you for sharing this post. 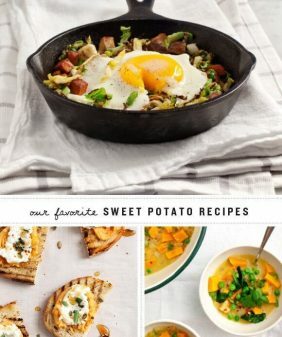 These are Amazing ideas, saw a similar recipe to the robba bowls on http://arlingtonhealthfoods.com/ but really like the touch of the roasted broccoli, thanks! Did Wolf share the other stats from their study anywhere? Very interesting!